Here’s a topic that has likely prompted the odd head scratch: “variables” in Adobe Analytics. No scope, no persistence, no type-checking. The “variables” in Adobe Analytics are very simple “drop off points” where we put data so it can be sent into the collection servers and processed. All the JS library is doing is take the data you wrote into the different attributes of the “s object”, read it, and put it into the URL for the tracking beacon. Right. So what if you need proper variables? What if you want to store data and re-use it on another page? Adobe Analytics doesn’t do that. At least not like you usually would do it. I’m sure you know the answer: cookies, HTML5 storage, Flash LSOs and similar technologies can be used client-side, or you can use server-side storage, usually session-based, if your CMS can do that. For the client-side approach, we can now circle back to the plugins we mentioned before. Some of those are built for the very purpose of storing data and retrieving it when needed. A little note on privacy: Adobe suggests that you be open about what data you store, both locally and remotely. If you are using cookies to store data, tell your visitors! Most people don’t mind if they’re told (see Facebook), but they do mind if they aren’t. Adobe Consulting will not help you use Flash LSOs to store data, for the same reason. People know how to get rid of cookies and more and more people get what they can and cannot do. But Flash LSOs, sometimes suggested as a “more sticky” alternative because they are not as easy to delete and work across browsers, are still a bit spooky to most people, which is why you should steer clear. What happens to the data we send into Adobe Analytics? Back to the top and the two types of “variables”: traffic and conversion. For traffic variables (“propXY”), the data can be found in one of the “Custom Traffic” Reports, as line items on the left hand side. 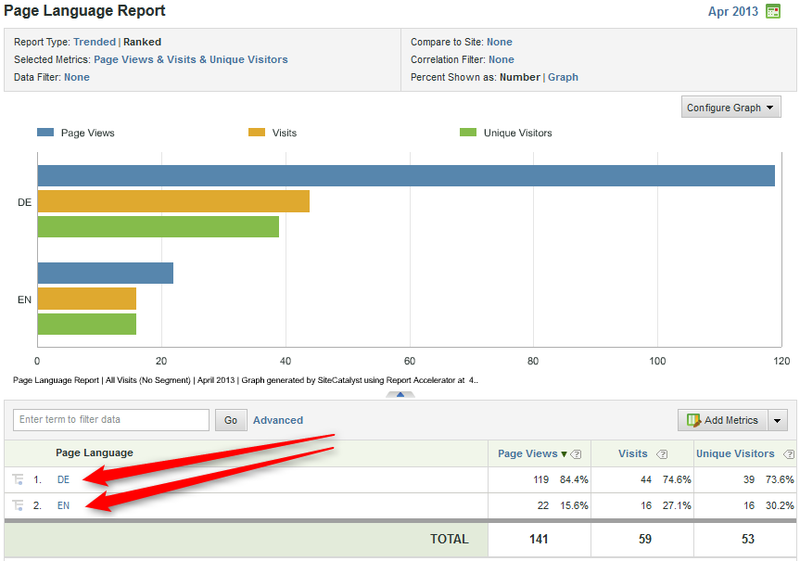 The metrics that your marketer can use with this data are: Page Views, Visits, Unique Visitors, and a couple others depending on setup. The system will count a Page View for a specific item of data (say the “en” we sent in prop2 in the example above) every time you send it in with an s.t() call. 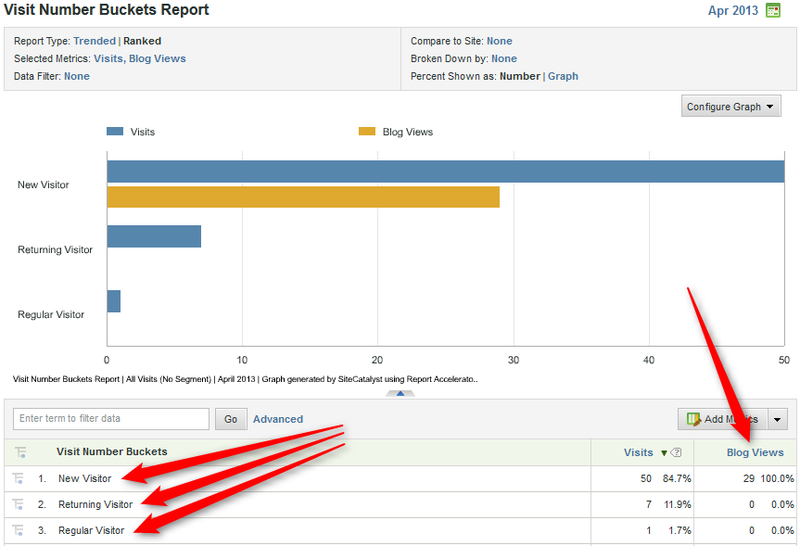 It will also calculate Visits and Unique Visitors metrics based on who it thinks the visitor is. We’ll get back to that at some point. Reports based on conversion variables (“eVarXY” & events) can be found in the “Custom Conversion” Reports. The data in the eVars will become line items on the left, and the events can be used as metrics. Now when will a value in an eVarXY be counted for a specific event? That depends on a couple of settings, but in general, an eVar is like a stamp that you can apply to a visitor’s forehead, and the event is counted to whatever the stamp on the forehead says at the time the event happens. Yes, it is more complicated than that, and we will get to that later as well. For now, this is all you need to know about “variables” in Adobe Analytics.